Call this my California comeback meal. I cooked very differently in Argentina. I used almost exclusively Argentine products, except some spices I brought with me. I was cooking meals for me and only me, so I was less adventurous, plus my kitchen was less stocked. (Ask Marissa, who said she’d never seen a fridge of mine so empty.) And when I went out for meals, it was mostly for Argentine or Italian, nothing with much spice. So I looked forward to the flavors I’d return to in Los Angeles. Cilantro, lime and chilies — one of my favorite combinations, common in Mexican and Indian cuisine — came together in two components of this fish. 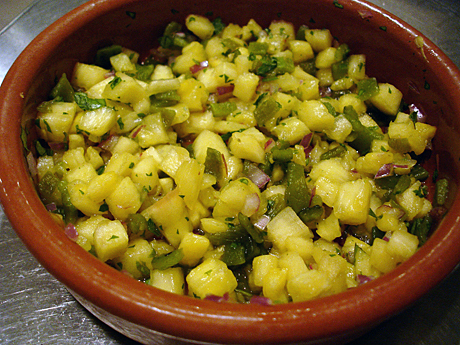 First, a salsa verde, which cooks with the fish, then a pineapple and roasted poblano salsa served on top. Does it need both? Maybe not, but we had produce to use up, and the two salsas work together nicely. 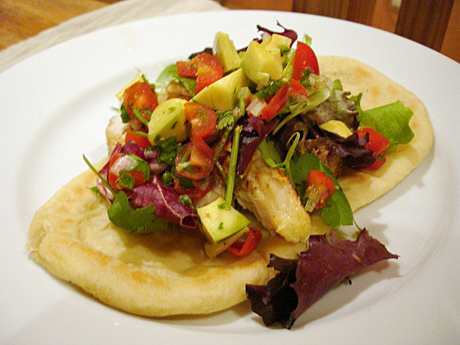 The tomatillo sauce keeps the fish moist while baking, and I loved the sweet, sour and spicy addition of chunky pineapple-poblano salsa. 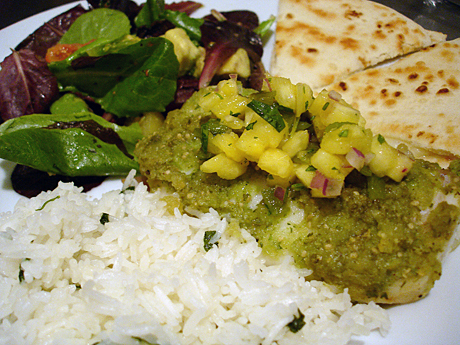 We served the fish with cilantro rice, quesadillas and a salad with my cilantro-lime dressing (used before on an Ahi Tuna Tostada and Fiesta Quinoa). The meal was very California, and I liked it. If that ingredient list doesn't get you excited, then I don't know what you're doing here. Now, imagine all those cooking together on a chicken. Smelling that in the oven for an hour and 20 minutes was the best and worst thing ever — tortuously incredible. It was worth the wait though. 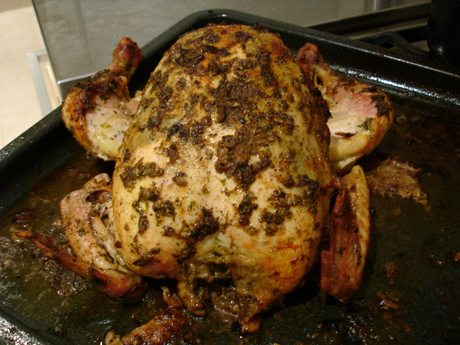 This Goan-style chicken came from a recipe from chef Floyd Cardoz of Tabla in New York. I had to make it when I read that ingredient list. Normally I would resent spending $1.50 on 40 grams of cilantro, but a 5-pound chicken only cost US$3, so I can't possibly complain. I recently calculated that I have spent $200 on two months' worth of groceries in Buenos Aires. That includes several items that will last me the rest of my time here. When I don't cook at home, I mostly get street food, which will fill me up for $3 or $4. I love it here. But back to the chicken, it was incredibly tasty. 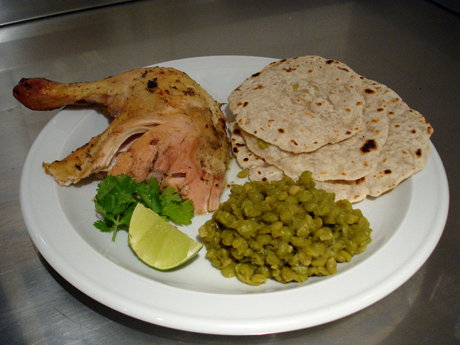 I ate it with gingered split peas and chapati, an Indian flatbread. A very satisfying dinner with plenty of leftovers. 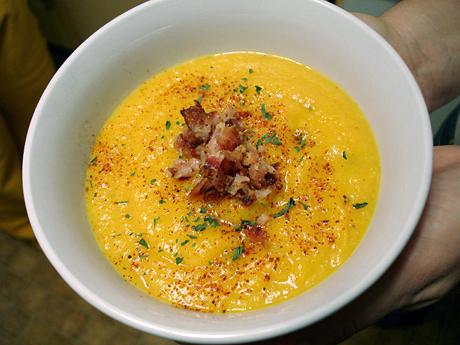 Do you know how many variations of butternut squash soup there are? I really was surprised to find so many different recipes for something I had thought was pretty standard. Do you start with mirepoix (carrots, celery, onion) or just squash? Do you simmer the raw squash in stock or cook it in the oven first? Do you add cream? Flavor it with nutmeg or something else? You probably can’t go wrong. I’ve yet to try a butternut squash soup I didn’t enjoy. I have a growing obsession with ginger. It’s a strong flavor, but I love it. Ginger ale is the only soda I still drink. Reed’s Ginger Brew or Bundaberg’s Ginger Beer are even better. I tried making my own ginger ale after finding a recipe at An Hour in the Kitchen and I had whey leftover from making cheese. Then I tried a ginger beer recipe from a Caribbean cookbook I found at the library. Waiting for the proper chemical reactions to take place wasn’t my favorite, so I started experimenting. 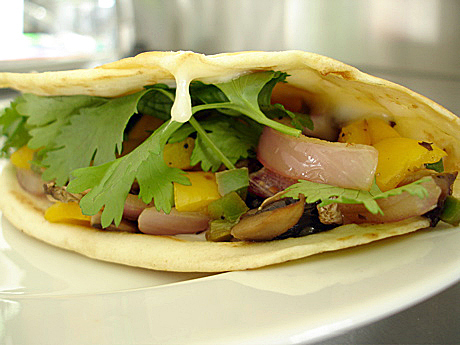 The recipe can be tweaked depending on your tastes and what you have on hand. 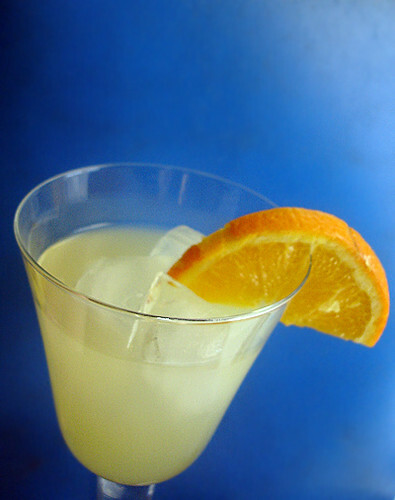 I’ve made versions with orange juice, limeade and pineapple juice. 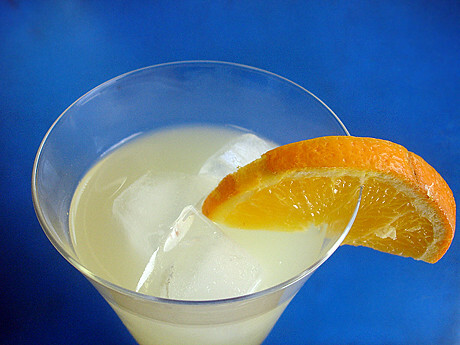 However you do it, the result is a tangy, refreshing drink that’s a mix of citrus, spice and ginger. And it makes your stomach feel amazing.